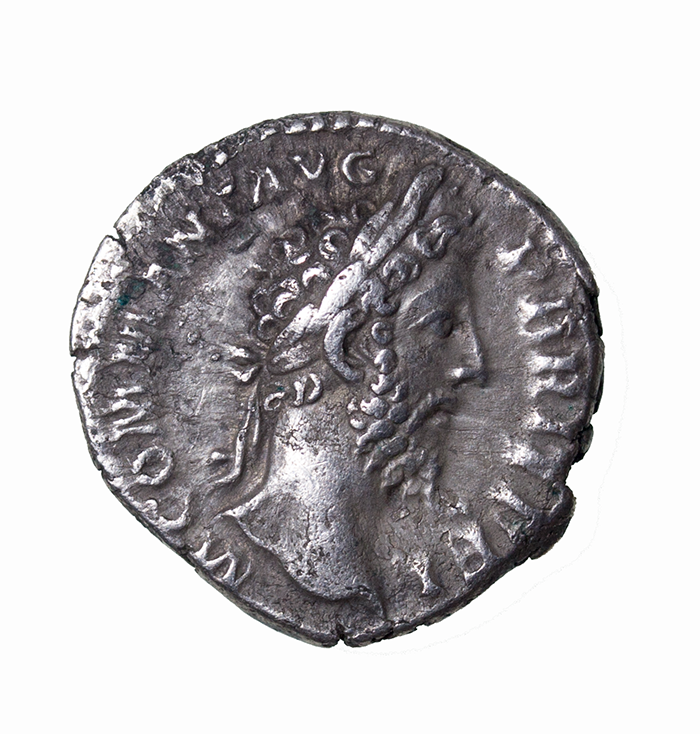 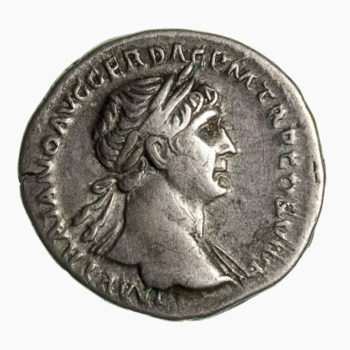 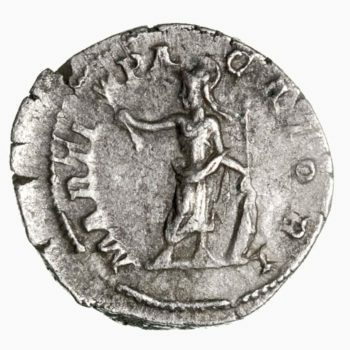 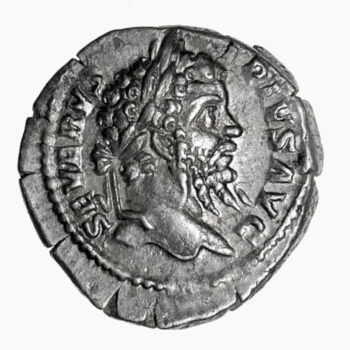 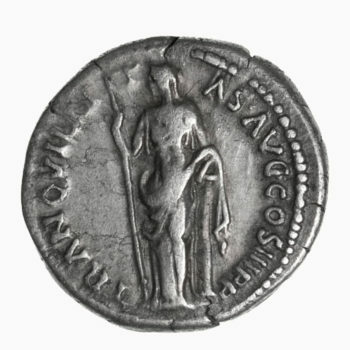 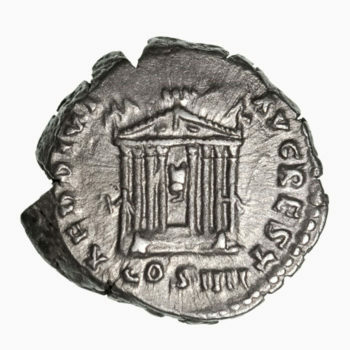 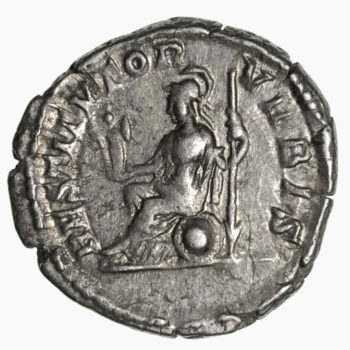 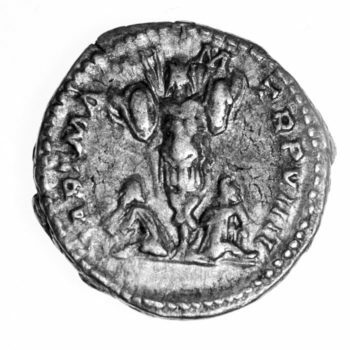 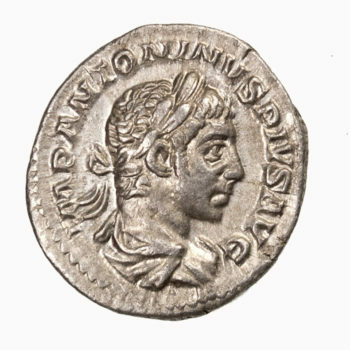 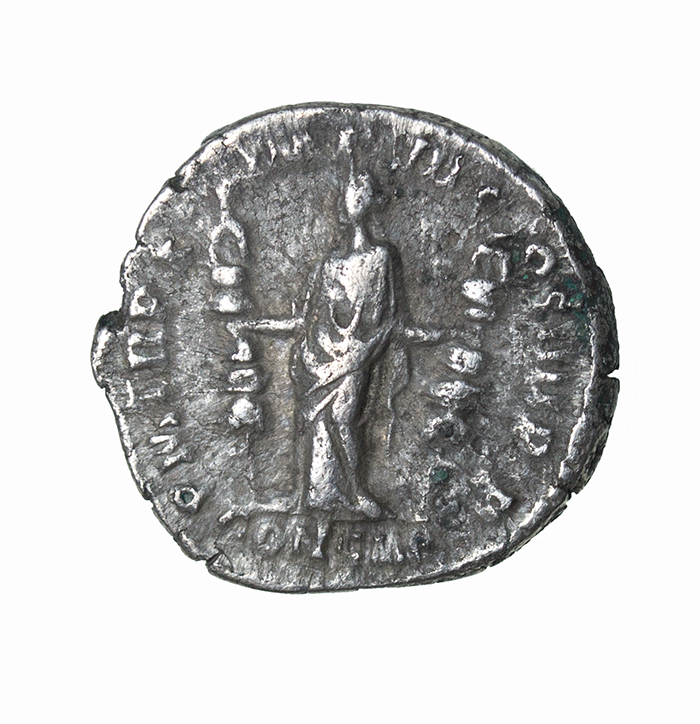 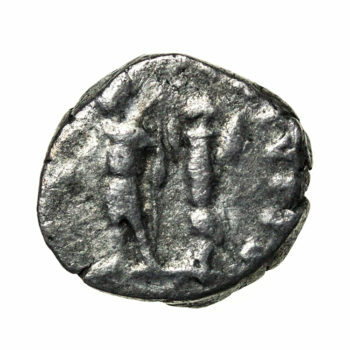 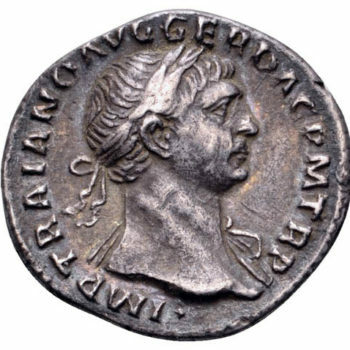 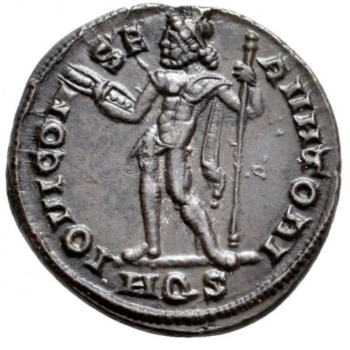 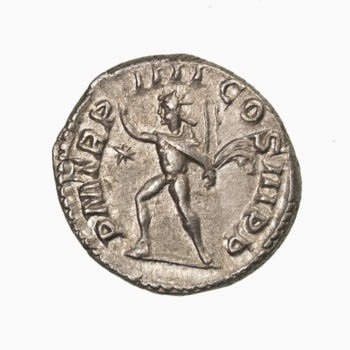 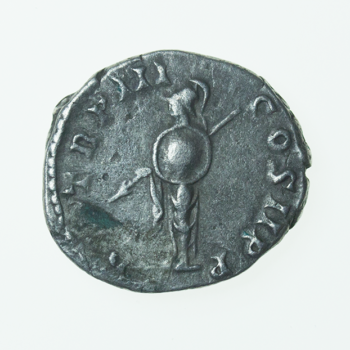 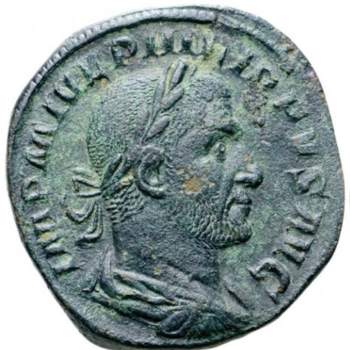 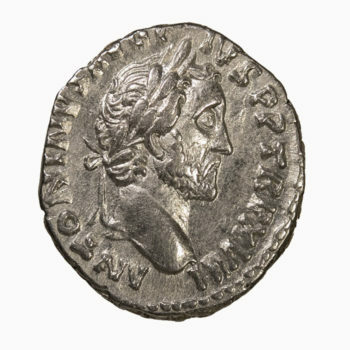 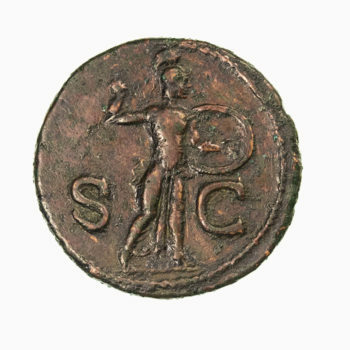 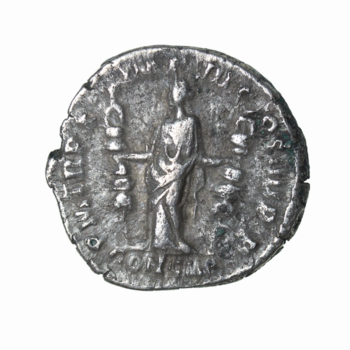 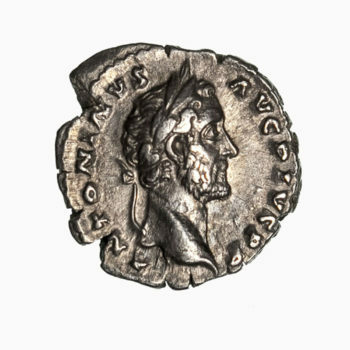 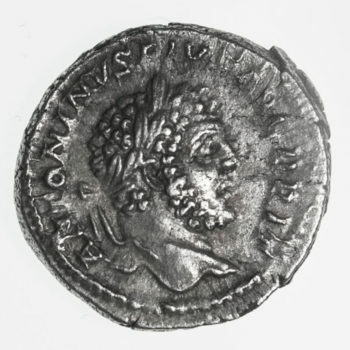 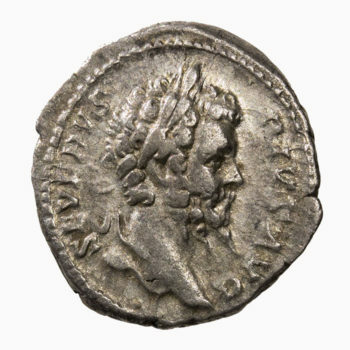 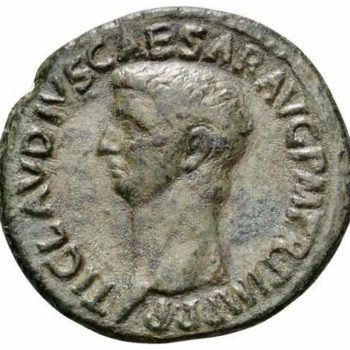 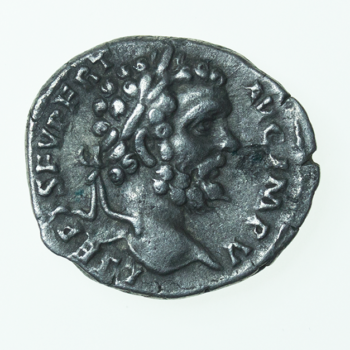 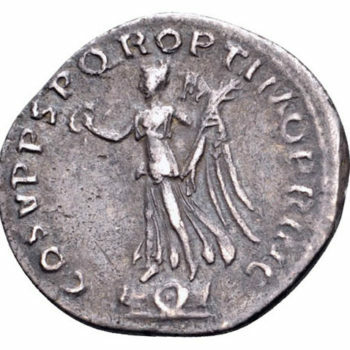 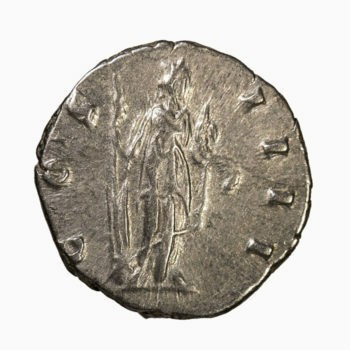 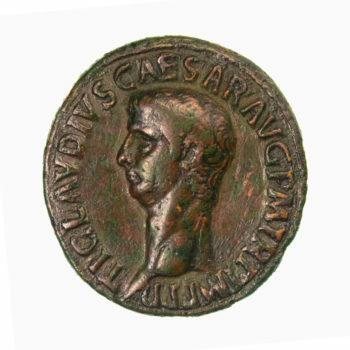 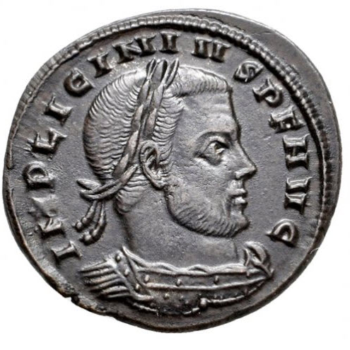 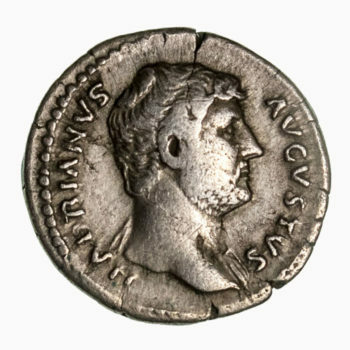 Commodus Denarius Obv: MCOMMANTPFELAVGBRIT – Laureate head right. 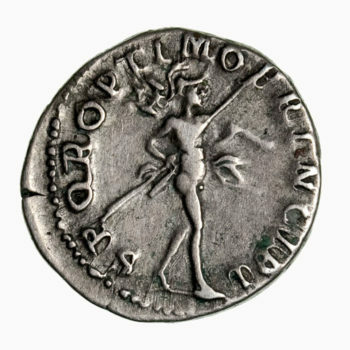 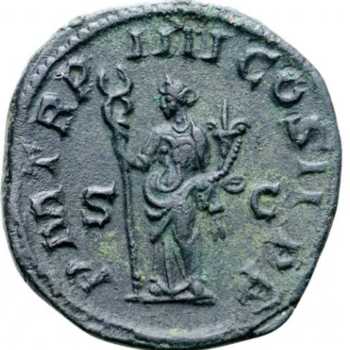 Rev: PMTRPXIIMPVIICOSVPP – Concordia standing, facing, holding the standard in each hand. 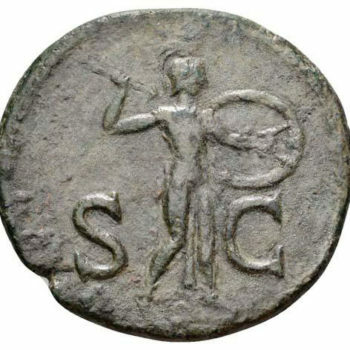 186 (Rome).